There has been some recent controversy as to whether or not Elvis and Mario knew each other or ever personally had a face-to-face meeting. As I've mentioned in the past, Mario's eldest daughter, Colleen, told me on a number of occasions that Elvis did, in fact, phone and talk to Mario on a couple of occasions in Italy during the1957-59 time period. She was adamant about this as she loved answering the phone...as do many 10-11 year olds. She clearly recalled hearing Elvis' unmistakable voice after saying hello and said how extremely polite he was. She said she had, a couple times, been able to hang around and listen to her father's side of the conversation. I asked her what she heard him talking about. "They talked a lot about how much they didn't like 'Hollywood' and the people who had caused them difficulty and pain...especially, Dad, of course." Since they were both RCA recording superstars, they also traded 'war stories' about people they knew in common and about the business of making records in general. We have only Colleen's word that these calls occurred. Colleen's imagination and sometime propensity to exaggerate things is no secret but that does not necessarily discount what she told me about Elvis talking to her father. Elvis, during his time in the Army in Germany, would have been well aware of Mario's European concerts and controversies...these were major entertainment news issues. And since soldiers are not prohibited from making phone calls during leave and off-time, Elvis certainly could have easily gotten Mario's phone number from RCA. I can state that Colleen's anecdotes were sincere and sounded credible, and did not seem merely fanciful embroidery designed to create interesting conversation. If you knew Colleen well, you could usually sense the reality of what she was saying. To further explore this issue, I spoke to Terry Robinson (Mario's closest and most trusted friend all during his Hollywood days). I've known Terry for over 15 years. Since Terry's importance and near constant presence in Mario's life is legend, let me just add that I have never met a more honorable and gracious man; a man whose recall of his many years with Mario...and the minute details about his career...is stunningly detailed to say the least. If you have been able to listen to Terry's appearances on my radio program, you will hear his dignity, sincerity, and great character with no difficulty whatsoever. Terry was the closest thing to a brother Mario had...in fact, many brothers would do well to be so devoted. Terry was with Mario nearly constantly from 1949 until 1957. Since Mario didn't like to drive, Terry drove him nearly everywhere...including to every single recording session up until the time he and the family went to Italy. Terry was in the studio for every take of every song and aria for RCA, MGM, and Warner Bros. Further, Terry went with Mario on his concert tours and was on the set of every Hollywood film, every take. 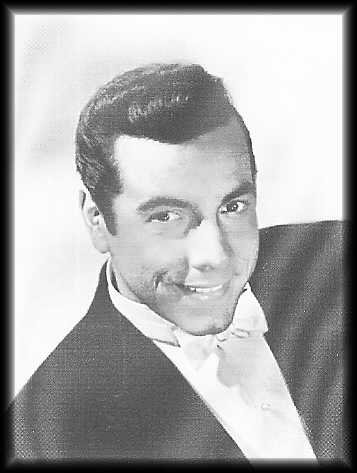 Terry even acted as his stand-in during the production of several films including The Great Caruso. Louis Mayer insisted that Terry live with Mario at the studios during the filming of Caruso...Terry took Mario home only on weekends. Terry knew Mario as well as anyone probably could. Mario relied on Terry for a multitude of things...most importantly his steadfast friendship and support through the brutal crises that nearly continually plagued his life, personally and professionally. Mario asked Terry repeatedly to come with him and the family to Italy but Terry chose to remain here to look after Mario's parents. That's the kind of man Terry is. One can only speculate how Mario's European sojourn would have turned out had Terry been there to act as a rudder...and trusted friend. TR: Oh Yes. They did meet in person...just one time...in Beverly Hills. Steve Scholls was the 'A & R' man at RCA...meaning 'Arts and Repertoire'...and Steve used to come around (to visit)...especially with Mario being 'Numero Uno' in RCA sales. There was a kid coming up who RCA signed and his name was Elvis Presley. Elvis Presley's favorite singer was Mario Lanza. And, he (Scholls) brought Elvis to the house one day. And Mario said, 'Sure, I saw him on the Sullivan Show' and this and that. JR: At which house or location did this meeting occur? TR: At 810 North Whittier Drive...in Beverly Hills. And he (Scholls) brought him into the home...I was there...and he said to Elvis, 'This is Mr. Lanza.' I was (introduced as) 'Mr. Robinson.' Everything was 'Mister.' That was the time Elvis met Mario. The next time Elvis saw me he was a major star. He was in the Beverly Wilshire hotel where my friend Ed Parker was putting on a (Karate) show for a group of orthopedic surgeons that was having a conference at the hotel. (Terry describes how legendary Karate Master Parker came to put on the demonstration for the doctors). So, we advertised the show and then I got a call from Mr. Elvis Presley and he said he would love to see the show but that he didn't want to be introduced or anything...he would stand in the back of the room. He would 'love to watch Mr. Parker perform.' So, I arranged that, and Mr. Parker met Presley and he became Presley's Karate teacher. Now, regarding Mario...when Elvis Presley met Priscilla her favorite singer was also Mario Lanza. His favorite singer was Mario Lanza...so both of them...and I found this out from a kid who traveled with him, Jerry Shelly. Jerry was the one who told me that they used to listen to Mario all the time. Now, whether Elvis called Mario in Europe, I don't know. When I used to speak to him (Mario) in Europe her never mentioned he had spoken to Elvis. Colleen says she used to talk with him on the phone but I do know she never met him. JR: When Elvis visited Mario in his home...how long did he stay? TR: Not long, they (Presley and Scholls) stayed about a half hour or so. They were spending the day going around to all the record shops that day (and didn't have a lot of time). JR: Did they talk and laugh and so forth? TR: Oh, yes. He was so polite, that kid. We played some of Mario's records and he sat there...you know, sort of dumbfounded! So, there you have it from the man who was there. Elvis did have one brief meeting with Mario Lanza.